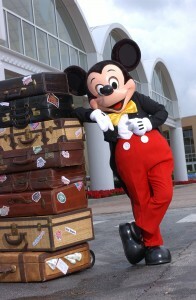 Have you ordered a 2011 Disney Parks Vacation Planning Kit? It’s a great resource for families planning their first-time Disney World vacation, and best of all, it’s free! When you get your kit, it will include a booklet with maps and overviews of the parks and resort hotels, as well as a nice personalized welcome to your family based on your preferences. But the best part is the DVD. Let the Memories Begin! is the mantra for Disney Parks in 2011. The 2011 Disney Parks Vacation Planning DVD begins with real footage of children being surprised by their parents about a trip to Disneyland or Disney World. Once you choose “Walt Disney World” on the DVD menu, you’ll be brought to the main Disney World menu. Here, you can choose from the following options. Theme Parks: You’re brought to a new menu here with options to look at Magic Kingdom, Epcot, Hollywood Studios and Animal Kingdom. Beyond the Parks: Another menu here with a look at more entertainment around Disney World. On this menu, you can choose to learn more about Typhoon Lagoon, Blizzard Beach, and Downtown Disney. Disney Resort Hotels: Here, it’s explained that there are more than 20 Disney resorts to choose from, and you’re given an overview of Extra Magic Hours, Disney Transportation and Disney’s Magical Express benefits for Disney Resort guests. Then, a menu is presented with a look at Value Resorts, Moderate Resorts, Deluxe Resorts, Deluxe Villa Resorts and Fort Wilderness Resort & Campground. Tickets & Packages: Here, you get a look at disneyworld.com/guide and the disneyworld.com booking tool. You also get an overview of Magic Your Way base ticket and customizations. Then, you get an explanation of the Disney Dining Plan and an overview of Disney World restaurants. Insider Tips: Here you’re reminded of the personalized URL included in DVD packet. You’re told about the Disney World Mom’s Panel and the Disney Vacation Connection desktop widget, as well as disneyworld.com/maps. You also get a Fastpass service overview, Photopass service overview, and are told of the Mobile Magic Verizon Disney Parks app. There’s also a look at special celebrations, and the best tip of all: that you can make dining reservations up to 180 days ahead of time. Little Ones: Kids 5 and under should come to Disney World is the message here, with an overview of kid-friendly attractions. Character meals, in-room babysitting and resort kid’s clubs are covered, as well as baby care centers in every park and stroller and wheelchair rentals. An explanation of the rider switch pass is given. Want to know more about traveling with little ones? Head to disneyworld.com/littleones. Grown-Ups: Recreation like golf, watersports, the Richard Petty Driving Experience, fireworks cruises and spa treatments are covered here. There’s also a Downtown Disney nightlife overview, including Bongos, House of Blues, Planet Hollywood and Raglan Road. And of course, there’s World Showcase restaurants and entertainment at Epcot. Plus, a short overview of Disney Resort dining. 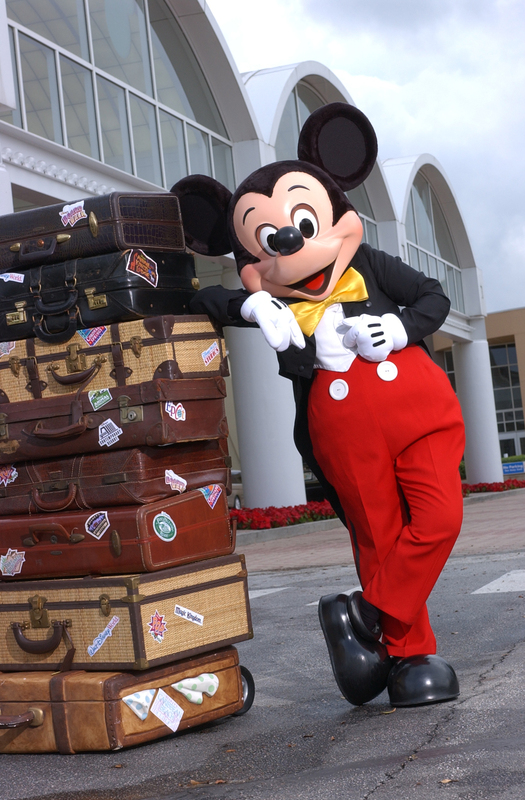 So order your 2011 Disney Parks Vacation Planning Kit and start planning today! This entry was posted on Wednesday, May 11th, 2011 at 11:00 pm	and is filed under Planning. You can follow any responses to this entry through the RSS 2.0 feed. You can leave a response, or trackback from your own site.